In pets, ticks are the most common reason that transfers different types of pests-induced diseases. When furry pals are infected with ticks, most pet parents are not aware of the tick-infested diseases that their furry companions would suffer from. Apart from various other diseases that infect dogs and cats, Lyme disease is one of them that severely hamper pet health. Lyme is a tick-borne disease and can easily attack pets. Most pet parents are unaware about the intensity of Lyme disease. Lyme is a dangerous disease affecting a variety of species including horses, cats, dogs and humans. When your furry pal is infected with this disease, it is likely to be transmitted to humans. The bacteria called Borrelia burgdorferi is responsible for Lyme disease and is easily transfers through ticks. 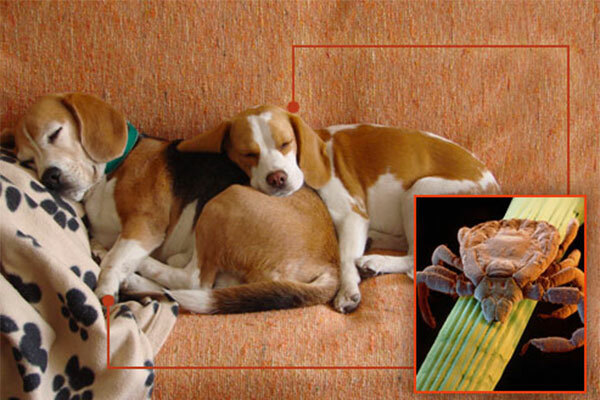 Feeding on infected mice and other small animals, ticks become infected and when they bite furry companions, they transmit the bacteria and infect them. Deer tick (blacklegged tick) is a culprit to transfer Lyme disease. These ticks are so small that they go unnoticed when biting animals and humans. About 95 % dogs are infected from Lyme disease but rarely show symptoms making it more difficult to diagnose and treat. Pets suffer from Lyme disease mostly during tick season but it takes about 2 to 5 months for the symptoms to appear from the time your pet is infected. Your pet takes too long to show symptoms. Moreover, they are transient or recurrent so little difficult to detect. Here are some apparent signs and symptoms to notice. Diagnosis of Lyme disease is based on the combination of factors including history, clinical signs, finding antibodies to bacteria B. burgdorferi and a response to antibiotics. Sometimes, these tests are not enough to find Lyme disease infestation. It requires other tests also such as x-rays, blood and urine tests and sampling of joint fluid to rule out other conditions with similar signs and symptoms. If your furry friend has been diagnosed with Lyme disease, your vet will provide the treatment as outpatient unless his health condition is too bad. There are several antibiotics available in the market from which your vet will choose the best for your pet. During the treatment, it’s essential that you keep your dog warm and dry. You need to keep him indoors and take proper care until all his signs are under control. Though some symptoms vanish, long-term joint pain resides until your dog’s system is completely free from bacteria. Preventing ticks on pets, pet owners can control Lyme disease infestation. Multiple flea and tick prevention treatments help to destroy and control ticks. Avoid your pet to roam in tick-infested environments where Lyme borreliosis is common. Several anti-tick preventives – both topical and oral forms are available that help to prevent ticks on your furry pals. With the help of your vet, find the right one that perfectly suits your pet. With proper care, diagnosis, treatment and prevention, you can protect your pet from the harmful effects of Lyme disease. Taking all sorts of care, you will ensure your pet to be healthy.